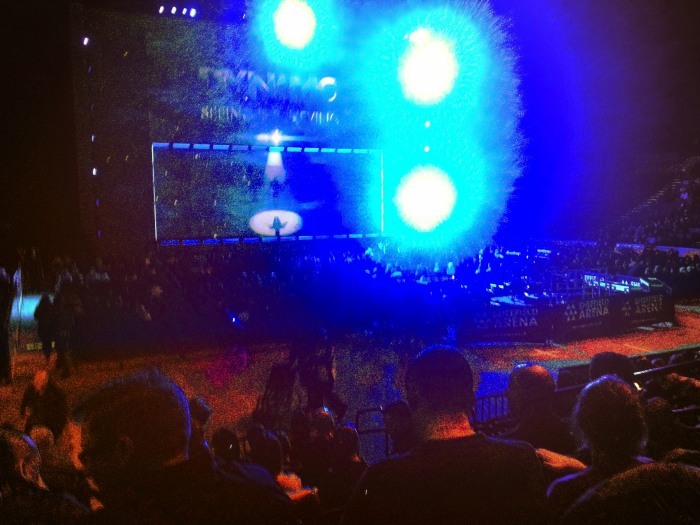 Went to Dynamo‘s Seeing is Believing show at the Sheffield Arena last night. Excellent. Well worth seeing; he’s touring the UK through until April, I believe. You can check the dates here. I’d not seen him on stage since he did a spot on one of Fay Presto’s late-night shows at the IBM convention some years ago. And as I don’t have a television I’ve not seen his TV shows, apart from the occasional YouTube clip. I won’t say too much about the content of the show as I don’t want to spoil if for those yet to see it. There were many moments that were, engagingly and unpretentiously, truly magical. He levitated above the stage, of course, performed some technically demanding card work, and one of the nicest Gypsy Thread presentations I’ve seen. The show was framed by cartoon and real-life clips showing how Bradford-born Steven Frayne became Dynamo, assured magician and global star. Perhaps this was the real magic… how dogged persistence and talent turned a normal lad with a pretty tough upbringing into a magical celebrity with confidence and natural charm. And with all this success he remains likeable and down to earth. I first met Steven many years ago when he used to come into The Magick Lounge from time to time to discuss and practice card magic with Roger Curzon and other Saturday regulars. It’s a real pleasure to see someone I remember as a quiet, perhaps even slightly withdrawn, teenager stand on stage in front of around four thousand spectators and present a full-evening show that people loved. Congratulations to all involved, and thanks for a great evening! You can subscribe by entering your email address under the ‘Email Subscription’ section top right on the main page. Thank you for your interest.